The Queensland AIDS Council has announced the appointment of Rebecca Reynolds as their new Chief Executive Officer. Reynolds (pictured, second from left) was appointed Interim Executive Director of QuAC in August, and joined the organisation from the National LGBTI Health Alliance, the peak body in Australia for organisations and individuals working to improve health outcomes for LGBTI people and their communities. QuAC President Peter Black said the board was excited Ms Reynolds was staying with the organisation for the next three years. “Rebecca has been our interim Executive Director since August this year,” Mr Black said. “[T]he board has been very impressed by the work she has already done within the organisation and our state’s diverse lesbian, gay, bisexual, trans, intersex, sistergirl and brotherboy communities, and we look forward to working with her in the coming years. Working across the full lifespan, Rebecca’s career in the community health sector has included international work on HIV and maternal health, extensive experience in youth and disability services, mental health, suicide prevention and ageing and aged care. “I warmly welcome the chance to work alongside our Queensland lesbian, gay, bisexual, trans, intersex, sistergirl and brotherboy communities and to using our collective strength to tackle the diverse set of challenges that we face in our daily lives,” she said. The QuAC board, with the assistance of NGO Recruitment, conducted an nationwide search to find the best person for the position, with the process including three rounds of interviews and consultation with community leaders across the state. 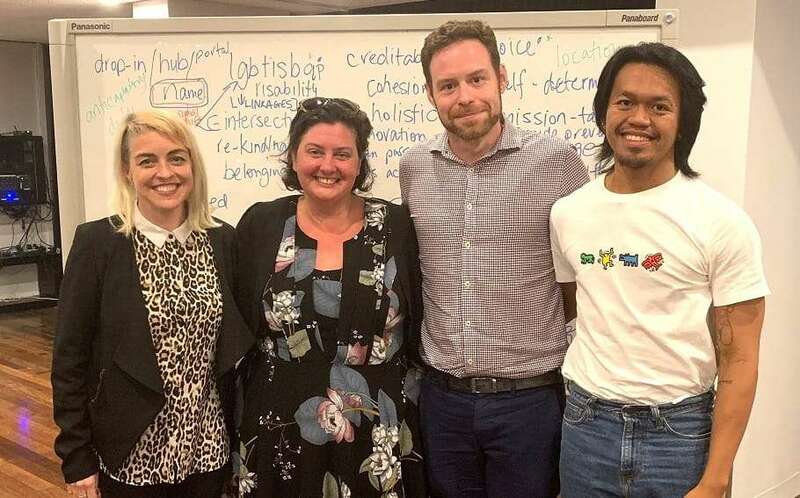 In October, the team at the Queensland AIDS Council embarked on a tour of Queensland to consult with the LGBTIQ community about the future of the organisation, as they formulate the organisation’s 2018–2021 Strategic Plan. An online survey is available for all community members, allies and stakeholders to canvas priorities, pathways, and possible activities for QuAC.